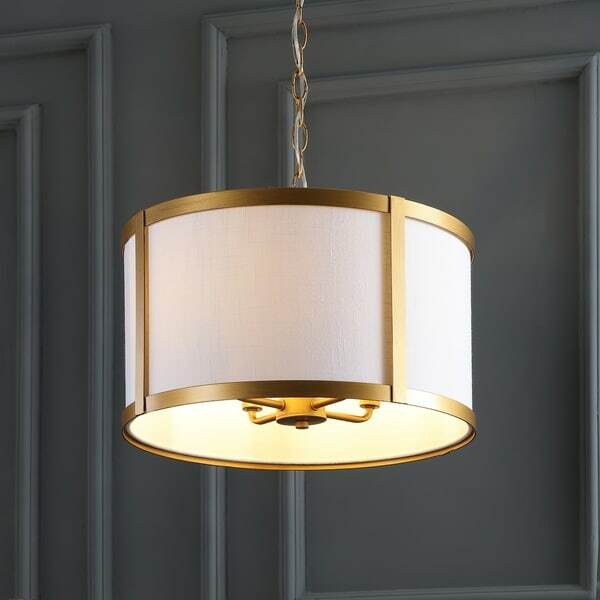 The shaded pendant light has been a favorite of designers for years, but looks fresh once again in this iteration. Effortlessly industrial or transitional, the metal edging adds visual interest (and extra structural integrity) in a perfect scale to hang over a kitchen island or in multiples down a hallway. And with enough chain to hang it at 15.5" all the way to 87.5", it works for any ceiling height, too. Dimensions 17.0 In. X 17.0 In. X 87.5 In. Arrrggghhhh! Could have been such a great fixture, but need to return BOTH of them. There is an IDIOTIC manufacturing defect. 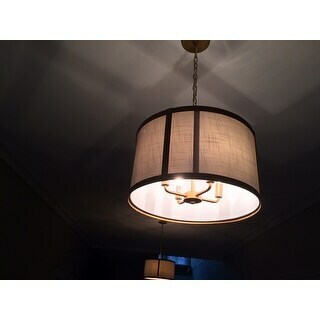 The single seam on the inner shade does not align with the metal band, therefore is painfully obvious when lit. 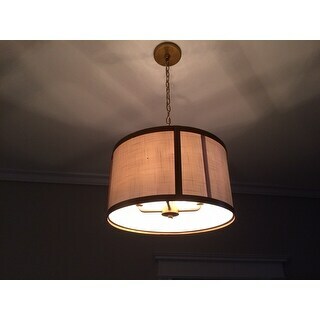 The linen shade is permanently affixed to the metal so buyer cannot remedy this. I'm about to learn about Overstock return policy, as the cord/chain were cut (as required) in the hanging process and this defect was not obvious until hung and lit. I am so annoyed. 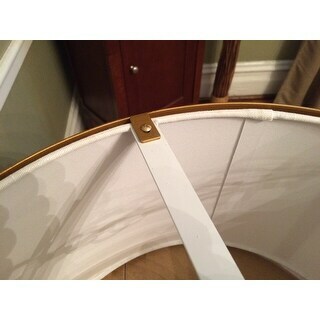 Third photo shows how drum shade is affixed to metal rim.